This vanity is a great way to add modern style to your bathroom. Its white artificial stone counter and grey fiberboard base will look beautiful in your home. This simple vanity set from Wyndham Collection will fit right into any bathroom decor. Amare 30-inch W 2-Drawer Wall Mounted Vanity in Grey With Artificial Stone Top in White With Mirror This vanity is a great way to add modern style to your bathroom. Its white artificial stone counter and grey fiberboard base will look beautiful in your home. 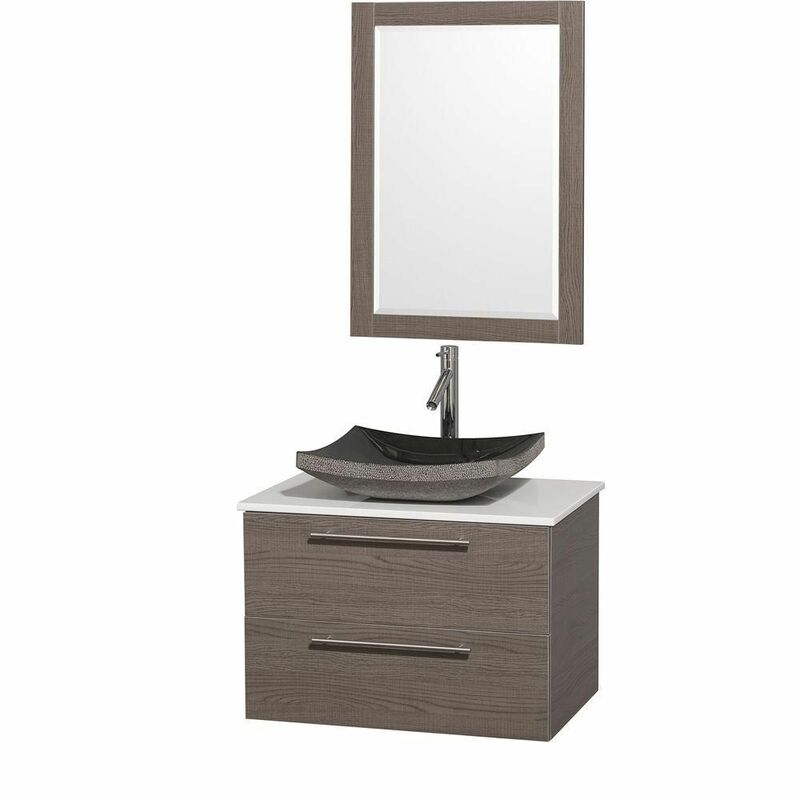 This simple vanity set from Wyndham Collection will fit right into any bathroom decor.